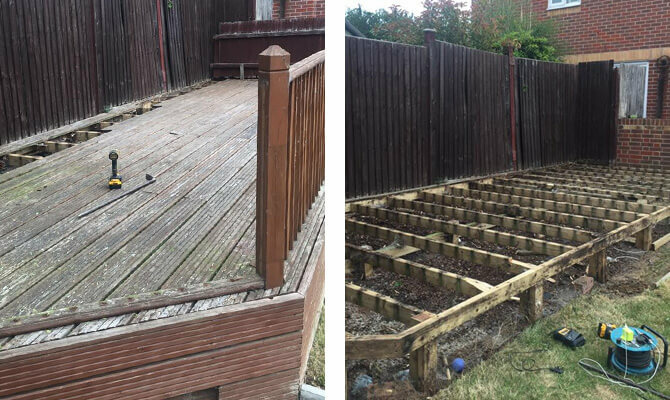 Tired old wooden decking area rejuvenation by UK Decking and Fencing, using our stainless steel wire balustrade system. 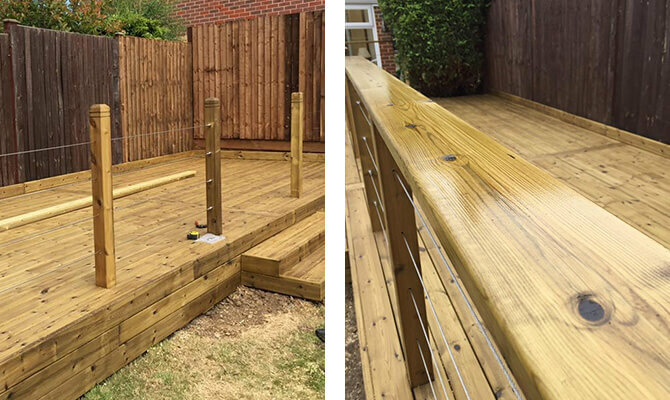 This installation uses our DIY wire balustrade kits, which are supplied with one pre-fixed tension fitting and one self assembly end fitting, this is so you can trim the wire rope to size. 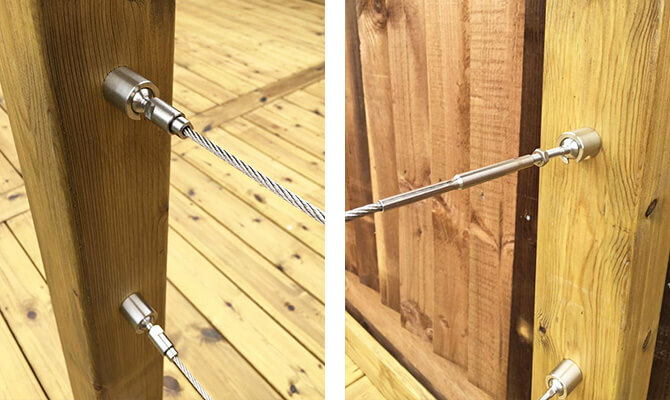 Our wire balustrade kits are designed for quick and easy installation with the use of wire cutters and a few household tools. 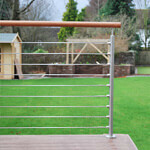 All wire balustrade components are manufactured from 316 grade stainless steel to maximise strength and longevity. The pre-fixed tensioner end fitting allows for perfect wire tension every time, by simply screwing the tensioner body in or out. 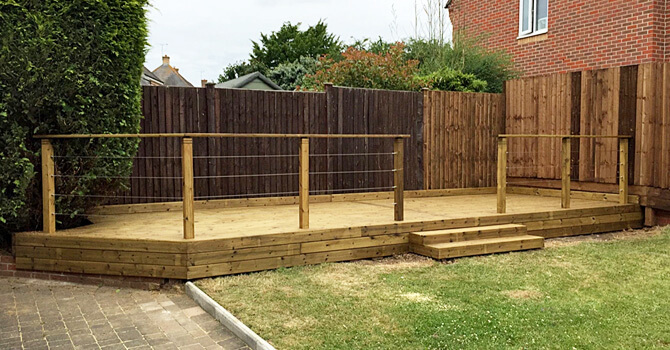 Note how the wire balustrade has been passed through the mid posts, this not only looks neat and tidy but also reduces the number of end fitting required - thus reducing cost.